Did you know that using essential oils for medicinal purposes has been around longer than many fields of medicine? In fact, there’s evidence to suggest that using medicinal plants for health purposes have been around since 18,000 B.C.E. 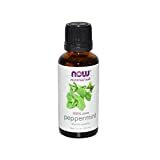 NOW Foods offers several varieties of NOW Essential Oils at reasonable prices. The company has dozens of single oils and oil blends available to purchase. Knowing how essential oils work and what types to use in different situations will help you get equipped for anything your body throws at you. You’ll also have the information you need to pick which products will best suit your specific needs. What Are NOW Essential Oils? NOW Essential Oils are a specific brand offered by Now Foods. NOW Essential Oils are not diluted in any way. Some blends are mixed with carrier oils to facilitate even distribution. Essential oils from this brand will help stimulate different parts of your mind and body to address a variety of issues. There are two major types of NOW Essential Oils: certified organic, and pure and natural. The certified organic oils come from plants that grow in herbicide, pesticide, and synthetic fertilizer free soil. The Quality Assurance International certifies each oil. On the other hand, pure oils are highly concentrated and free of synthetic ingredients. They also undergo the same rigorous testing as NOW’s certified organic oils. There are dozens of ways you can choose to use NOW Essential Oils. You’ll want to decide which oil is right for you, and then figure out how you want to apply it. While there are many ways to use essential oils, most applications fall into three categories. The most popular is aromatherapy. This involves inhaling the oil in some way. Many people use an oil distiller to spread the specific scent throughout a room. Another common method of using essential oils is to put it on your skin. Because many oils can be powerful, you need to use a carrier oil to dilute their potency. Popular carrier oils include coconut and jojoba. Simply put a few drops in a cup of oil, blend it, and then you can apply it to your skin. While you can ingest some essential oils, it can be incredibly dangerous. Some practitioners recommend avoiding ingestion altogether, as you need to be careful in the type and amount you use. Avoid ingesting oils unless you which ones are safe and how to use them in this way. Now Essential Oils are available at most natural foods stores, such as Whole Foods. You can also buy them from Amazon, and from Now Foods directly. One downside to getting these oils is that there is no clear warranty. Because NOW is sold directly through retailers, you’ll have to contact them to find out what their policy is on returning used beauty products. The exact price you’ll end up paying varies largely on the variety of essential oil you decide to buy. Some extracts are relatively easy to produce and don’t cost very much. Others require a large amount of source material to create even a small amount of oil. Naturally, these are more expensive and will end up costing more. However, NOW sells directly to retailers, which can cut down on 30 percent of the cost without sacrificing the quality. Individual bottles range from $5 to $50. We came up with this review by relying on the author’s knowledge of essential oils to guide resource evaluation. When creating this guide, the author reviewed a wide variety of blog roundups, customer reviews, and product listings to choose an assortment of oils that would cover several health concerns. There’s no way to determine which essential oil is best. Because of that, we’ve instead picked three essential oils that are best for specific uses. Lavender oil is known for its soothing and calming qualities, while lemon oil has energizing and uplifting qualities. Lavender oil would be helpful to try and sleep, while lemon oil is good for getting energy in the morning. Tea Tree oil is a strong, potent, cleansing oil. Its aroma takes over the room and tends to linger. Lemon is also good for cleansing but is not as strong as tea tree. You can ingest lemon oil, but tea tree oil absolutely should not be taken internally. People often use both in homemade cleaning solutions. You rarely use lavender and tea tree oil in the same way. Many people like lavender and choose to put it in an oil diffuser, while tea tree oil can put many people off because of its potency. NOW Foods offers more than 100 different essential oil products. Trying to look at them all at once can be overwhelming. We’ve picked some of the more popular oils and covered what kinds of health concerns they can help you address. These oils are listed in no specific order. We’ve chosen some individual oils as well as some blends, so you can see how each type can be applied. Lavender is by far one of the most popular essential oils on the market today. This floral oi has antioxidant and antimicrobial qualities. It’s also great for calming anxiety and dealing with depression. 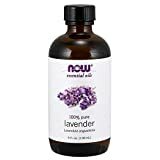 In fact, one of the most common uses of lavender is for anxiety reduction, as there are dozens of studies that show its effectiveness in reducing anxiety and other mental issues. Doctors also believe it has great pain relief qualities and can help heal minor burns and wounds. Lavender’s anti-inflammatory properties can help reverse signs of aging, improve skin, and reduce hair loss. This versatile oil is a must have for anyone starting to collect essential oils. Lavender comes in 0.33, 1.0, 2.0, 4.0, and 16.0 ounce bottles. The oil ranges from $ to $$$ depending on the size you buy. If you’ve ever used Vaporub, then you’ve already encountered Eucalyptus oil. That strong-smelling scent that hits you in the face comes from the Eucalyptus. 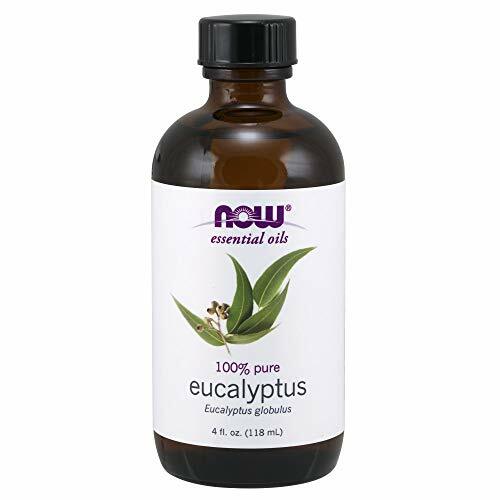 NOW’s Eucalyptus Globulus oil was created to revitalize and invigorate you. ​Customers have used Eucalyptus oil to deal with respiratory problems such as sinus infections, asthma, and even seasonal allergies. This oil is also great at fighting off infections in conjunction with medication and even works well as a rat repellant. 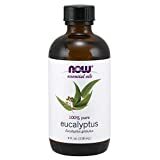 Eucalyptus Globulus comes in 1.0, 2.0, 4.0, and 16.0 ounce bottles and costs between $ and $$. The Peaceful Sleep Blend is a targeted mix aimed to help you sleep. The mix includes chamomile, lavender, orange, sandalwood, tangerine and ylang-ylang oils. Chamomile and lavender have great calming qualities. Orange and tangerine oils are known for their sedative qualities, while sandalwood can decrease blood pressure. Ylang-ylang is great at fighting inflammation and helping you feel more positive before you drift off to sleep. This blend is optimized for aromatherapy usage and works best when placed in a diffuser. You can place a diffuser in your bedroom and run it for 30 minutes before sleeping. If you don’t have an oil diffuser, you can also put 30 drops into a 1-ounce spray bottle and fill the rest with distilled water. Spritz your body a few times before bed. This blend only comes in 1.0 and 4.0 ounce varieties. The oil ranges from $ to $$ depending on the size you choose. Like lavender, peppermint has dozens of uses and should be included in any essential oil purveyor’s cabinet. One study found that it has incredible antioxidant and antimicrobial qualities, as well as a great ability to reduce gastrointestinal issues. If you’re struggling with muscle and joint pain, peppermint oil can help relieve them through topical application. It’s also a great way to boost your energy when you’re feeling low. 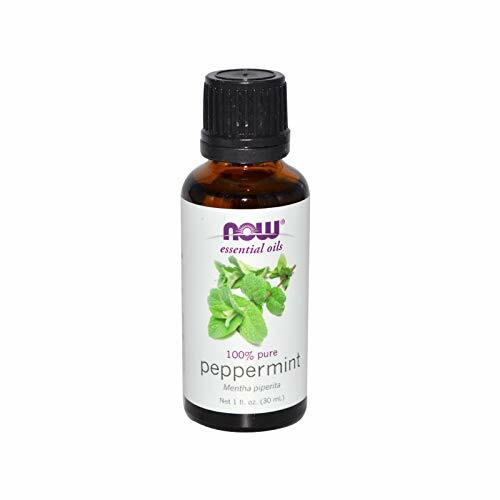 Peppermint comes in 1.0, 2.0, 4.0, and 16.0 ounce bottles. The oil sells for $ to $$ depending on which size you purchase. The Clear the Air Oil Blend is a minty smelling mixture that’s great for helping you feel refreshed and clean. Oils in this blend include eucalyptus, hyssop, peppermint, and rosemary. If you want a more natural way to deal with sickness, this blend is a great way to do so. 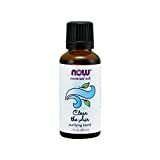 As mentioned above, eucalyptus and peppermint are great at fighting off infections and clearing the airways, hence the name of this blend. Hyssop oil can help relieve muscle spasms and prevents pathogens from entering the body. Rosemary is a great antiseptic and digestion aid. This blend only comes in 1.0 ounce bottles. Expect to pay between $ and $$. Tea Tree oil is one of the more potent options in the essential oil world. Combined with its ability to deal with almost any health problem, this oil is a must for the health conscious. Tea tree oil’s health-boosting qualities include antiseptic, antiviral, fungicide, and more. In fact, tea tree oil is so powerful that it must be used in small doses or it will become overwhelming. It’s incredibly helpful in dealing with skin infections and is a powerful cleaning agent. 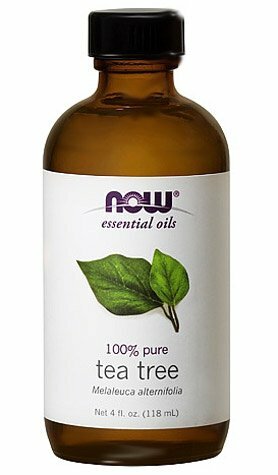 Tea tree oil comes in 1.0, 2.0, 4.0, and 16.0 ounce bottles. Expect to pay between $ and $$ depending on size and retailer. Lemon is also a great purifying oil. If you’re looking to detox harmful foods and substances from your body, this is a great choice. 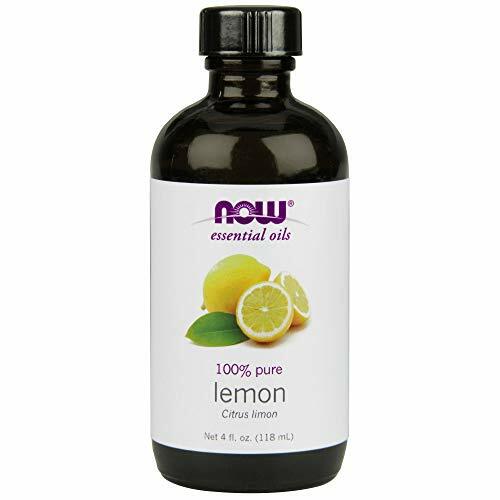 NOW’s Lemon oil only comes in 1.0 and 4.0 ounce varieties. Bottles of this oil cost between $ and $$. ​Like tea tree oil, oregano is incredibly potent. One of its greatest benefits is that it can be as powerful as some antibiotics when it comes to fighting infections. However, it doesn’t come with many of the harmful side effects that modern-day antibiotics often cause. It can also reduce medication side effects. Oregano’s powerful antimicrobial properties make it great for fighting off bacterial infection, parasites, and inflammation. 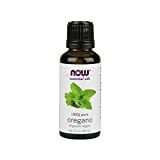 Because it is so powerful, oregano essential oil only comes in 1.0 and 2.0 ounce sizes. You can expect to pay between $ and $$ for this oil. Every person’s body is different. While you might suffer from extreme headaches, your friend could need help calming down in tense situations. There is no single essential oil that is good for all situations and you should be wary of anyone who tries to tell you differently. Instead of trying to find one oil that will fix all of your problems, try looking for a handful of oils that will cover most of the issues you face. Equipping yourself with a variety of essential oils will help you be better prepared for anything life throws at you.